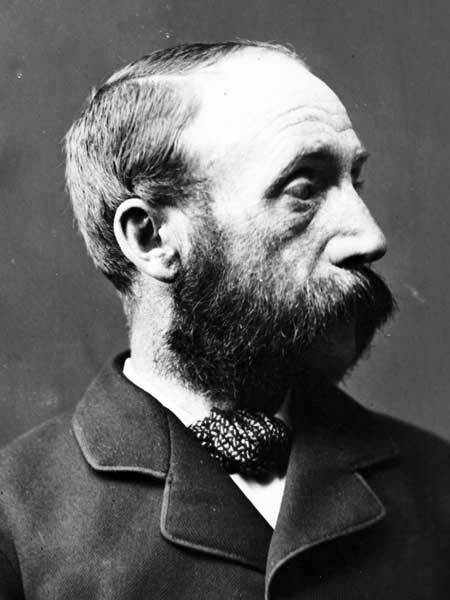 Source: Archives of Manitoba, Personalities - Begg, Alexander #1, N21681. Source: Archives of Manitoba, Personalities - Schultz, J. C. #6, N10485. Alexander Begg (1839-1897), left, and John Christian Schultz (1840-1896), right, were influential members of the Anglophone community of the Red River Settlement. When the Dominion of Canada was formed on 1 July 1867, the Fathers of Confederation were already casting an expansionist eye westward to Rupert’s Land and the North-western territory. The Red River Colony at the junction of the Red and Assiniboine rivers served as a convenient gateway to future development, wealth and adventure, as well as a potential source of raw materials. It was also militarily and strategically important to the fledgling country’s security as the idea of expansion formed parts of sections 90, 91 and 146 of the British North America (BNA) Act. The annexation of the settlement may have seemed inevitable to Canadians in the East, but many people in the Red River settlement were sharply divided over the issue. It was not only the Métis who were worried; so also were the Anglophones in the community. This article examines events in the Red River settlement prior to the formation of Manitoba in 1870 as seen through the eyes of two members of the Red River Anglophone community, John Christian Schultz (1840–1896) and Alexander Begg (1825–1905). Both men resided in the Red River community and their contemporary publications will be used to present contrasting views of the future of the Red River settlement before its appropriation. Schultz’s view represented the central-Canadian annexationist viewpoint as expressed in his newspaper The Nor’Wester. 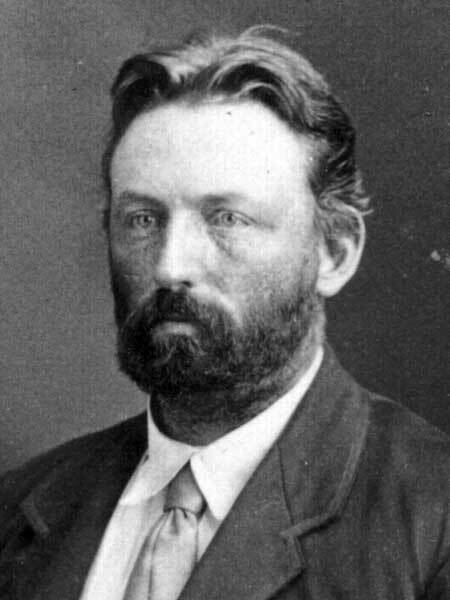 In contrast, Begg represented a moderate local viewpoint within the Red River Colony. The article will focus on the conflicting ideals of these two men; it will not examine the views of other ethnic, linguistic, religious or cultural groups. Red River was under the administration of the Hudson’s Bay Company (HBC), a British trading company chartered in 1670 to trade furs with the native peoples of North America. The HBC had nominal control over this area. Only in the Red River was there an established community. As the diverse community grew in size, governing the settlement became increasingly difficult. Since the 1840s individuals from central Canada had argued for Red River’s annexation, and the possibility of Canada stretching from sea to sea was discussed amongst members of the British-Canadian administration. An essential first step was the annexation of the Red River settlement. These sentiments gained momentum and support through time only as Canadian imperialists inside the Red River argued in favour of this action. For others in the Red River settlement, being part of Canada could be detrimental to their future as terms and conditions would be dictated by eastern Canadians. Although both Schultz and Begg came from central Canada, they agreed on few matters concerning the future of Red River. John Schultz moved to the Red River Settlement from Ontario in 1859. He was a businessman and speculator in the area, eventually owning a number of stores in the colony’s business sector. Schultz became part-owner of The Nor’Wester newspaper in 1864, and its full owner the following year. The newspaper was a pro-British-Canadian publication advocating Canada’s control of the Red River and was traditionally hostile to the HBC’s administration. Schultz was a bitter opponent of the HBC and, as the only newspaper editor in the colony, he described it consistently in negative terms. He sold The Nor’Wester in 1868, but remained involved in the region’s blossoming newspaper culture. The Nor’Wester published what it saw as desirable, often giving a one-sided account of events. Schultz confessed to using “every means in our power to further the advance of settlement and civilization throughout this vast domain, that we shall use every endeavor to reclaim this fair land from the hands of the [HBC] monopoly and the savage.”  Canadian control of Red River contrasted with the rule of First Nations and the HBC which, Schultz believed, were misgoverning the land. 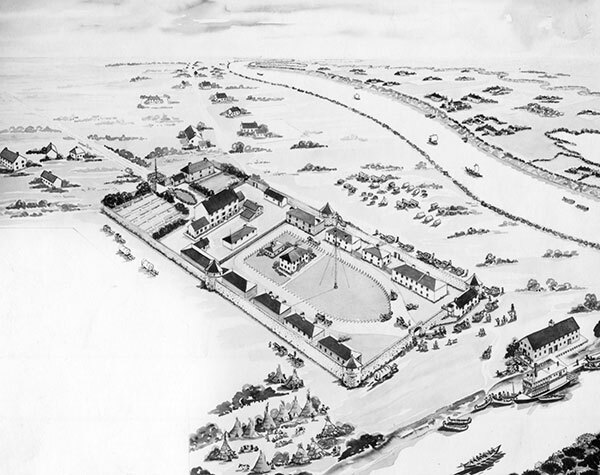 Upper Fort Garry, at the confluence of the Assiniboine and Red Rivers, at it looked in the 1870s, seen in this reconstruction by Jules Perret, 1942. Source: Archives of Manitoba, Fort Garry 19, N12506. Traditionally the HBC would consult the settlers on local affairs that concerned them. It was a lie, fomented by central-Canadian expansionists, that the settlers had no control over their own affairs in order to justify possible annexation. Begg made the point that the local councillors from the Red River, and the HBC were equal in power. One member of the local board could overturn any motion. The settlers of the Red River were content but interests of “parties from abroad came to Red River and sowed the seeds of discontent amongst the inhabitants.” Traditionally relying on the peaceful and contented character of the people, the HBC feared stirring up “internal commotion” to settle local quarrels. The outcome of negotiations between the HBC and Canada saw the North West ceded to Canada on 1 December 1869. In return, three hundred thousand pounds were paid to the HBC, and the Company would retain its forts surrounded by small tracts of land. The Canadians incorrectly believed that anarchy reigned in the Red River and the inhabitants needed stability and protection. The Canadian government lacked knowledge of the area and an understanding of the current administration. These sources reveal an arrogant and uniformed administration that alienated the Red River settlers. Yet the Canadians claimed they only wanted to help the locals and calm the uninformed while taking measures to put the area under federal control. This meant abolishing all local forms of administration, and allowing the Canadian government and institutions to be established. 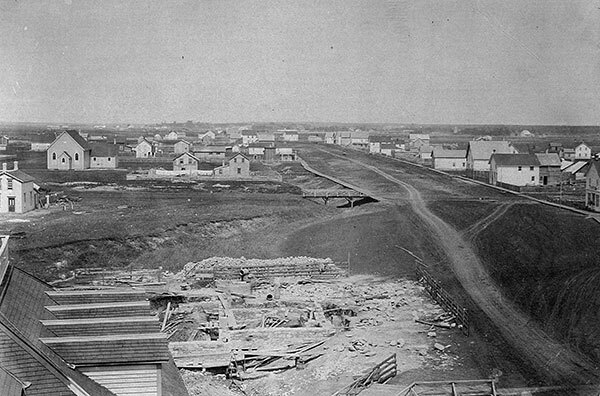 A view of the Point Douglas neighborhood of Winnipeg, looking north from the top of the Court House, August 1875. Foundations for the new city market are visible in the foreground. When Lieutenant-Governor McDougall, who had been appointed Governor of Red River, attempted to enter the Red River on 16 November 1869, two weeks before the area was to be ceded to Canada, Louis Riel’s Métis followers refused to allow him to enter. Schultz believed any attempt to not allow Canadian officials into the Red River area showed hatred for Canada and “disloyalty to the Queen.”  He thought that only irrational, uninformed people did not see the obvious advantages of annexation to Canada. Those who were not in favour were misrepresenting the nature of the transfer, and the intentions of the Canadian government regarding the rights of locals. Yet Schultz argued the current government was “ruled by Indian laws and savages” and that interest by the Canadians was appreciated and desired. For Schultz the Canadian government could do little wrong. Since they had purchased the area from the HBC, central Canadians believed they could use the area as they saw fit. Red River was to be a colony of central Canada; the old elite and administration would be removed only to be replaced with people from Ontario. On 2 May 1870, the Province of Manitoba was formed. Schultz clearly won the war of words with Begg, but the way the annexation was handled resulted in grievances among the Red River settlers that continue to echo to this day. 1. E. E. Rich, London Correspondence Inward from Eden Colville 1849-1852. London: The Hudson’s Bay Record Society, 1956, pp. xiv-xxiv; Joseph Doutre, Constitution of Canada. Montreal: John Lovell and Son, 1880, pp. 114-206, 380-382. 2. Frits Pannekoek, “Some Comments on the Social Origins of the Riel Protest of 1869”, in Potyondi, B. (ed.) Transactions of the Historical and Scientific Society of Manitoba. Winnipeg: Hignell Printing Limited 1978, p. 40. 3. Frits Pannekoek, A Snug Little Flock: the Social Origins of the Riel Resistance 1869-70. Winnipeg: Watson and Dwyer Publishing, 1991, pp. 215-216; W. L. Morton, Manitoba: A History. University of Toronto Press, 1957, p. 110. 4. A. Garland, “The Nor’Wester and the Men who established it”, in D. Kemp (ed. ), Transactions of the Historical and Scientific Society of Manitoba. Winnipeg: Hignell Printing Limited, 1961, p. 8. 5. Rich, pp. lxvii-lxviii; J. M. Bumsted, Reporting the Resistance: Alexander Begg and Joseph Hargrave on the Red River Resistance. Winnipeg: University of Manitoba Press, 2003 p. 276; Doug Owram, Promise of Eden: The Canadian Expansionist Movement and the idea of the West, 1856-1900. Toronto: University of Toronto Press, 1992, pp. 63-64. Owram has Schultz arriving in 1859, Morton in 1860. 6. J. M. Bumsted, Trials and Tribulations: The Red River Settlement and the Emergence of Manitoba 1811-1870. Winnipeg: Great Plains Publications, 2003, pp. 210-211; F. Pannekoek, “The Anglican Church and the Disintegration of the Red River Society, 1818-1870”, in J. M. Bumsted, (ed. ), Interpreting Canada’s Past, Vol. 1, p. 284. Toronto: Oxford University Press, 1986. 8. George Denison, The Struggle for Imperial Unity. Toronto: Macmillan Co. Ltd., 1909, p. 11-19. 9. Joseph Pope (ed. ), Correspondence of Sir John Macdonald. Toronto: Oxford University Press, 1921, p. 106. 10. Pannekoek, 1978, pp. 49-50. 11. W. L. Morton, The Kingdom of Canada. Toronto: McClelland and Stewart, 1972, pp. 333-334. 12. D. Owram, Promise of Eden. Toronto: University of Toronto Press, 1980, pp. 81-82; W. L. Morton, The Critical Years: The Union of British North America 1857-1873. Toronto: McClelland and Stewart, 1964, p. 242. 13. Alexander Begg, The Creation of Manitoba, or A History of the Red River Troubles. Toronto, 1871, p. 108. 14. The Nor’Wester, 28 November 1864. 15. Begg, History of the North-West, p. 349. 16. Begg, Ibid., pp. 349-363. 17. The Nor’Wester, 28 July 1868. 18. Begg, The Creation of Manitoba, p. 25. 19. Doug Owram, Promise of Eden: The Canadian Expansionist Movement and the Idea of the West, 1856-1900. Toronto: University of Toronto Press, 1992, pp. 208-209. 20. Alexander Begg, Ten Years in Winnipeg, Winnipeg: Times Priniting and Publishing House, 1879, pp. 6-7. 21. Alexander Begg, Dot it Down. Toronto: Hunter, Rose, and Co., 1871, pp. 234-243. 22. The Nor’Wester, 13 June 1868. 24. The Nor’Wester, 20 June 1868. 25. Begg, A History of the Red River Troubles, A. H. Hovey Toronto, 1871, pp. 14-15. 26. The Nor’Wester, 13 July 1867. 27. Begg, A History of the Red River Troubles, pp. 10-11. 28. Begg 1871, p. 6. 29. Alexander Begg, History of the North-West, Hunter, Rose, and Co. Ltd., Toronto 1894, pp. 342-343. 30. Begg, A History of Red River Troubles, pp.1-13; Begg, Ten Years in Winnipeg, pp. 6-10. 32. Begg, Red River Journal and Other Papers Relative to the Red River Resistence of 1869-1870, The Champlain Society Toronto 1956, pp. 217-221. 33. Macoun, J., Manitoba and the Great North West, The World Publishing Company Guelph 1882, pp. 460-461. 34. Ross, Alexander, The Red River Settlement, Smith, Elder and Co., London 1856, pp. 403-412. 35. The Nor’Wester, 14 December 1867. 36. The Nor’Wester, 25 August 1868. 37. The Nor’Wester, 27 March 1869. 38. The Nor’Wester, 1 May 1869. 39. The Nor’Wester, 18 July 1868. 40. Garland, pp. 14-15; The Nor’Wester, 14 November 1868. 41. The Nor’Wester, 12 January 1869. 42. The Nor’Wester, 17 April 1869. 43. The Nor’Wester, 3 July 1869. 44. Pannekoek, Some Comments, p. 39. 45. Pannekoek, “The Anglican Church” pp. 273-274. 47. The Nor’Wester, 29 March 1868. 48. USA: Affairs on the Red River, Oscar Malmros, United States Consul to J. C. B. Davis, Acting Secretary of State, Washington, 11 September 1869, in Message of the President of the United States communicating, in compliance with a resolution of the Senate of 8 December 1869, information relating to the presence of the honorable William McDougall at Pembina, in Dakota Territory, and the opposition by the inhabitants of Selkirk settlement to his assumption of the office of governor of the Northwest Territory, Senate executive document (United States. Congress. Senate) 41st Congress, 2nd Session, no. 33, Washington, 1870, No.1, pp. 2-8. 49. Begg, Red River Journal, pp. 254-259. 50. Snell, James, “American Neutrality and the Red River Resistance 1869-1870,” Prairie Forum, Vol. 4 No. 2 Fall 1979, pp. 183-185. 51. Begg, Red River Journal, pp. 221-223, 253-257. 52. Begg, A History of the Red River Troubles, p. 15. 53. Begg, A History of the Red River Troubles, pp. 44-46. 54. Begg, Alexander, Dot it Down, Hunter, Rose, Toronto, 1871, pp. 234-239. 57. Pope, J., Correspondence of Sir John Macdonald, Oxford University Press Toronto 1965, p. 95. 58. Government of Canada, Correspondence and Papers Connected with Recent Occurrences in the North-West Territories, I. B. Taylor 1870, pp. 23-27. 59. Begg, A History of the Red River Troubles, p. 16. 60. Government of Canada, Correspondence and Papers Connected with Recent Occurrences in the North-West Territories, I. B. Taylor 1870, pp. 44-46. 61. Government of Canada, Correspondence and Papers Connected with Recent Occurrences in the North-West Territories, I. B. Taylor 1870, pp. 27-28. 62. The Nor’Wester, 29 October 1869. 63. Begg, Red River Journal, p. 254. 64. The Nor’Wester, 18 August 1868. 65. Begg, A History of the Red River Troubles, p. 25. 66. Begg, Dot it Down, p. 107. 67. Begg, Red River Journal, pp. 244-254. 68. Bumsted, J. M. (ed. ): Reporting the Resistance Alexander Begg and Joseph Hargrave on the Red River Resistance, University of Manitoba Press 2003, pp. 20-23. 69. Government of Canada, Correspondence and Papers Connected with Recent Occurrences in the North-West Territories, I. B. Taylor 1870, p. 9. 70. O’Donnel, John, Manitoba as I Saw It, The Musson Book Company Toronto 1909, pp. 28-29. 71. Begg, A History of the Red River Troubles, pp. 24-27. 72. The Nor’Wester, 18 August 1868, 28 August 1869. 73. Begg, History of the North-West, p. 422. 75. Begg, History of the North-West, Vol. II pp. 15-16.